We offer a wide variety of erosion control products to fit your project needs. Our wide range of Erosion Control products aide in preventing and/or controlling soil erosion by preventing soil loss and water pollution from wind and water damages. 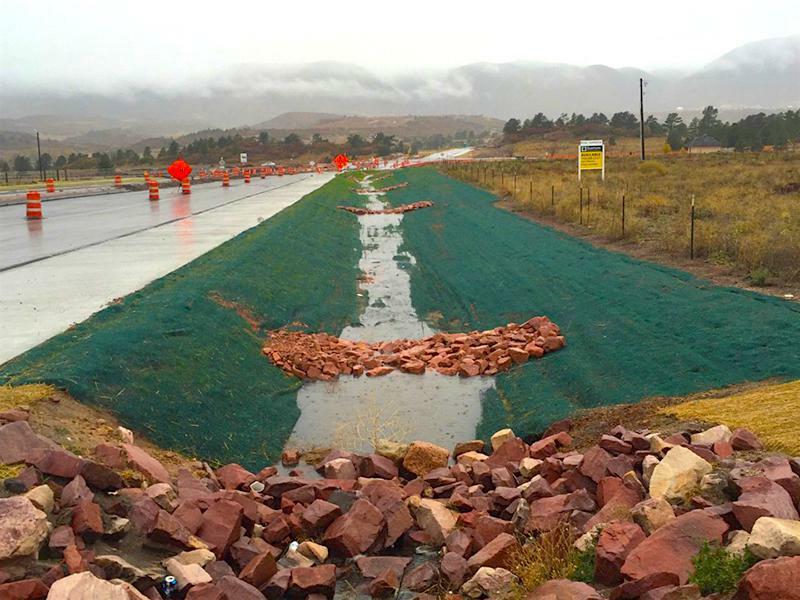 Erosion control products are put into place to protect the soil while allowing vegetation to become established. Erosion control products offer a soft armor approach which is more natural and pleasing to the environment over a traditional rock riprap type application. 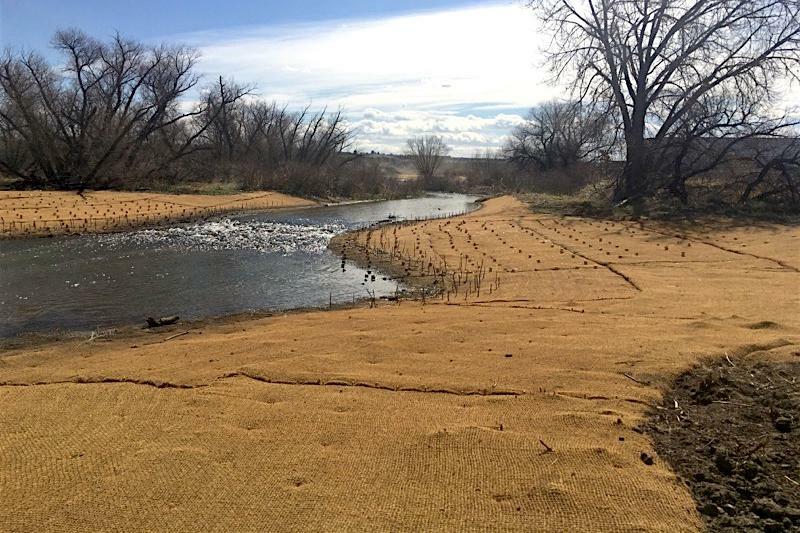 The primary function of Erosion Control blankets (also known as rolled erosion control products) is to protect bare soil from erosion while allowing vegetation to become established. We provide a wide range of different functioning blankets for all your project needs. These include short term, long term, extended term and Turf Reinforcement Mats. For temporary RECPs, these products offer a Photodegradable and a Biodegradable netting depending on the application at hand. Biodegradable products offer a 100% organic netting and a matrix made of natural fibers while photodegradable have synthetic fibers or nettings and depend on exposure to the sun to break down. Short Term: Used for projects that are 2:1 or less gradient and needing to last 3-12 months. These are filled with straw and are available in both 8’ and 16’ plastic or biodegradable netting. Extended Term: Used for projects that are 1:5 to 1:1 or less gradient and needing to last 24-36 months. These are filled with 70%/30% straw coconut and 100% coconut fibers and are available in both 8’ and 16’ plastic and biodegradable netting. 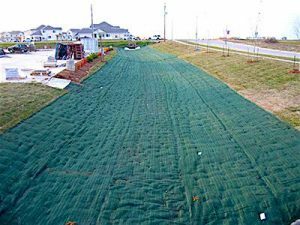 A turf reinforcement mat (TRM) is a permanent RECP composed of non-degradable synthetic fibers, filaments, nets, wire mesh and/or other elements, processed into a permanent, three-dimensional matrix of sufficient thickness. 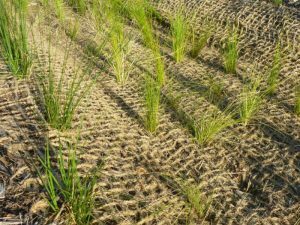 TRMs, which may be supplemented with degradable components, are designed to impart immediate erosion protection, enhance vegetation establishment and provide long-term functionality by permanently reinforcing vegetation during and after maturation. TRMs typically are used in hydraulic applications, such as high flow ditches and channels, steep slopes, stream banks and shorelines, where erosive forces may exceed the limits of natural unreinforced vegetation or in areas where limited vegetation establishment is anticipated. One form of a temporary RECP is an open weave textile (OWT). 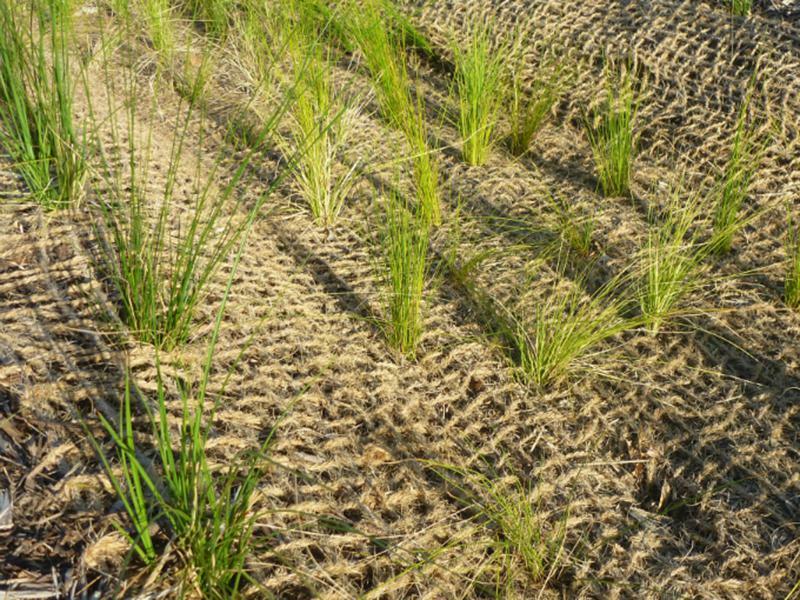 OWTs are degradable products composed of processed natural or polymer yarns woven into a matrix, used to provide erosion control and facilitate vegetation establishment. 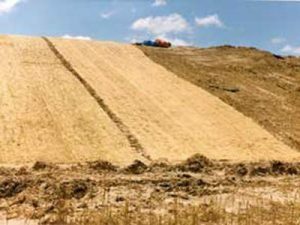 Hydraulic Erosion Control Products (HECPs), have been used for the past 50 years to control erosion and aid in the establishment of vegetation on a project. HECPs are mixed into a slurry and applied over the project by spraying them by a canon or hose from the equipment that they were mixed in. 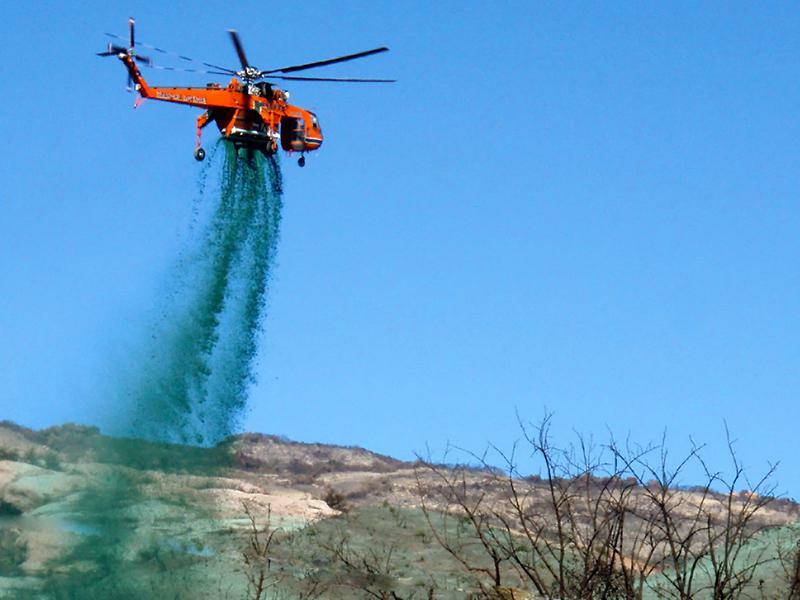 A truck mounted hydro-mulcher is the most common, however, these HECPs have been applied by aircraft when access is difficult on projects such as wildfire reclamation, Oil and Gas projects, mining and transmission line applications. Factors that are used in the industry to decide which is the best product to use for each product are functional longevity, erosion control effectiveness and vegetation establishment. Tackifiers are used for bonding or gluing different materials together or the surface to enhance their performance and prevent erosion or subdue fugitive dust. There are several different types of tackifiers and some of them can help with different challenges. There are two basic categories for tackfiers, inorganic and organic. The inorganic, acrylic co-polymer tackifiers are not as volatile when exposed to wetter environments so they typically last longer than organic tackifiers. Organic tackfiers are the more popular and are used in several industries from binding food, controlling dust and aiding other materials to prevent erosion. Plantago is an organic derivative of psyllium ( Plantago Ovata) whose adhesive properties are used as a soil tackifier. This finely ground muciliod coating of plantago seeds is used as an economical and cost effective tackifier for hydroseeding and erosion control applications. The product is all natural, non-toxic, biodegradable and hydrates rapidly. Plantago may be applied as a wet slurry to the surface of the soil. It dries to form a firm but re wettable membrane that binds soil particles together and permits germination and growth of seed. Guar Gum Powder is extracted from the Guar Seed after a multistage industrial process. The most important property of Guar Gum is its ability to hydrate rapidly in cold water to attain uniform and very high viscosity at relatively low concentrations. Its colloidal nature gives excellent thickening to the solution. Guar Gum, either modified or unmodified, is a very versatile and efficient natural polymer covering a number of applications in various industries like food, beverages, pharmaceuticals, cosmetics, paper, textile, construction, oil & gas well drilling, mining etc, due to its cost effective emulsifying and thickening properties. Guar is one of the more popular tackifiers used in the majority of higher end hydraulic mulches on the market today. DustFloc is a blend of natural and organic polysaccharides and is 100% environmentally safe, non-toxic and is manufactured in the USA. DustFloc binds the soil particles together, provides dry and wet strength and has reworking capabilities. DustFloc is long lasting and works well with soil types in various pH ranges. 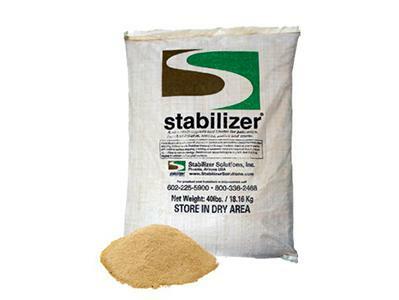 A flocculating soil stabilizer, FlocLoc™ coagulates soil particles suspended in water, dropping them from runoff. It reduces soil erosion and improves water infiltration into the seedbed. 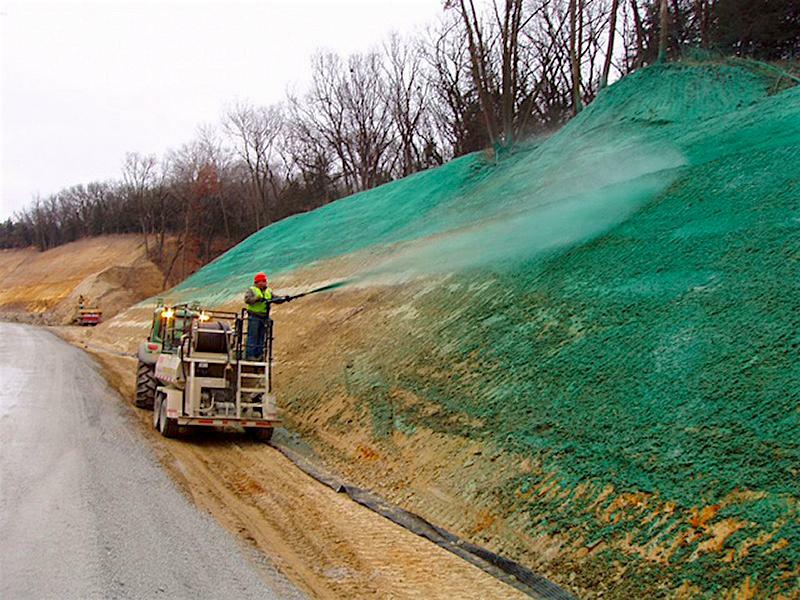 It also increases water-holding capacity of the hydroseeding slurry and improves machine performance. FlocLoc can be used for temporary erosion and dust control. Just one 3-lb jug will provide temporary stabilization to 1 acre of exposed soil! Tacking Agent 3® has long set the standard as an effective binding agent. 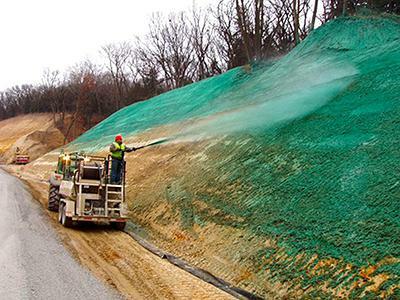 It is proven to reduce soil erosion and water runoff immediately after hydroseeding—no cure time is required! Most others require up to 24 hours to dry before they can resist rain and runoff. Tacking Agent 3 contains the flocculant, polyacrylamide and hydro-colloid polymers for enhanced fiber-to-soil bond as well as a marker dye to enhance visual metering when the product is being applied. A non-toxic, biodegradable tackifier such as Super Tack® should be used at the minimum application rates shown in the spec sheet below. The tackifier will be a natural galactomannan based hydrocolloid treated with dispersant agents for easy field mixing. The dispersing agents shall be non-harmful to the environment. The product shall not contain anitmony compounds. The tackifier, used in conjuntion with 2000 lbs of virgin wood fiber, must have been previously tested by San Diego State Univeristy and found to reduce sediment yield in a 10-year storm event by an average of 84% or more. 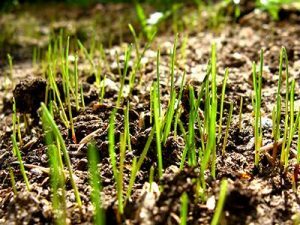 Choosing the correct seed mixture is crucial in establishing and maintaining a proper vegetative cover. There are several site conditions that would dictate what seed varieties would be used on each site. Triton carries a variety of stock mixes as well as has the ability to customize seed mixes to meet these certain site conditions, requirements and regulations for contractors’ ever changing projects.